My naturopath is frequently after me to drink enough water, so it’s an ongoing challenge to make sure my intake is adequate, which is especially tricky in the chilly winter months. Since the first of the year, I’ve been doing an above-average (for me) job of swallowing my daily quota of H2O, aiming for about ¾ gallon daily. Feeling accomplished, I rewarded myself with a new water bottle. I set the shiny, extra tall, rose-colored vessel down like a trophy on my doctor’s desk, expecting praise for keeping myself so well hydrated. 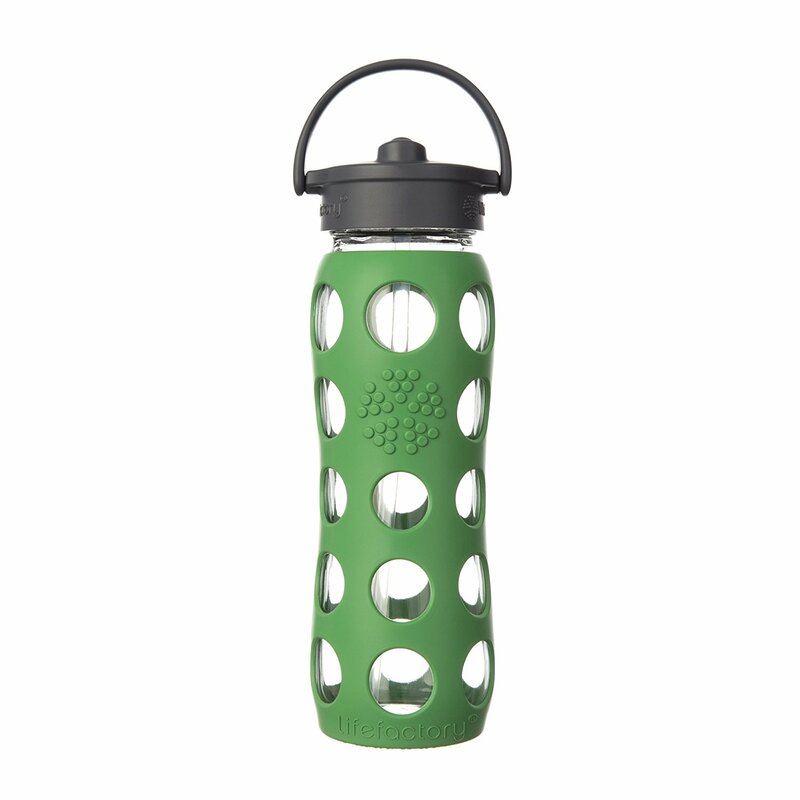 “Oh, no…” I said, “the plastic?” But it’s BPA free! I thought these bottles were safe! So much for the “one word” piece of advice Dustin Hoffman gets in The Graduate. My doc said occasional use, on the hiking trail for example, is one thing, but sipping from the poisonous container 24/7 could be hazardous to my health. Deflated, but neither dehydrated nor defeated, I took this advice from my trusted healthcare professional to heart and, that very day, ordered a new, glass water bottle. It had a lovely, Kelly green sleeve--perfect for an Irish girl--and I was relieved to learn my water wouldn’t be leaching toxic chemicals from dreaded plastic. The new bottle came with a built-in straw. That’s where the problems began. “What’s that noise?” my husband, John, asked the first time I used it. “What noise?” I asked, knowing darn well what noise. This is the sort of situation that’s really delightful if you’re an impish adolescent. You can drive everyone around you crazy with annoying sounds… like those flatulence noises kids make with a hand and an armpit, or tooting repeatedly into an empty Coke bottle until your mom finally loses her mind and sends you to your room with her iPad so she can have some peace. I tried holding the bottle at different angles… squeak, squeak. I snipped about a centimeter off the plastic straw, thinking maybe it was too long… toot, toot. After several days, it was intolerable, worse than squeaky brakes, somewhere between a boiling tea kettle and an oboe in very incapable hands. 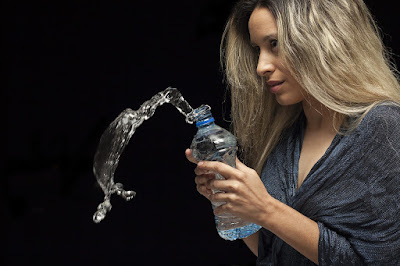 A one-way trip back to square one with toxins in my water bottle? Hard pass. I went online to check the reviews I hadn’t bothered to read before making my purchase. There were more than a few squeaky complaints and several suggested fixes that didn’t work. The bottle had to go back. I arranged the return with Amazon and did some due diligence. I ordered two new glass bottles. One has a bright pink silicone polka dotted sleeve—a great everyday option—and another with a dark grey casing, just in case I need it for a formal occasion. Sadly, they only hold about half what my tall, plastic bottle holds, so that means I’ll have to get up from my desk more often to fill them up, but that’s probably not such a bad thing. These bottles look really good on paper, being BPA, phthalates, PVC, lead and cadmium free. They’re supposedly leak proof and, best of all, they don’t have built-in straws, which one would think would also make them squeak proof, although the description doesn’t make any promises. 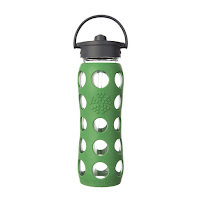 If there is so much as a peep out of one of these water bottles, especially if it sounds like squeaky brakes or an out-of-tune woodwind, I already know what I’m going to do. I’m going to fill the bottle with Chardonnay and send my husband to our room with his iPad. Chardonnay- good idea. You might try Hydro Flask or Kleen Kanteen. Not glass or plastic and insulated for nice cold water. Or wine.